If you are paid by your employer to build up business connections using social media your employer will own those connections. For example lists of customers created by employees during their employment should belong to their employer and not be kept after employment. The courts have applied this to electronic address books. An employee who kept all their contacts, including their personal contacts, in their employer’s e-mail system was required to hand it over when they left as those contacts belonged to their employer. What about LinkedIn? This is yet to be tested in the courts but a recent case indicated that an employee who used his employer’s contact database to send LinkedIn connection invitations to clients and candidates had no right to keep those connections once employment ended. The employer could demand that an employee delete those contacts made via work but not personal contacts not made in connection with the employee’s employment. The law on this remains uncertain and employers who rely upon their employees building networks should use their contracts or policies to create some clarity as to who owns what. Can you dismiss an employee because of their Facebook status? An Apple Store employee dismissed for posting a series of rants about his employers on Facebook lost his claim for unfair dismissal. The employment tribunal said that Apple’s social media policy banned critical remarks about the company and that Facebook posts were not truly private. An employee who put as her status “OMG I HATE MY JOB! !” and referred to her boss in very unflattering terms was dismissed when she forgot that she had added her boss as a friend and he read her status. The scale of this is huge; a Freedom of information request revealed that in the Police Force at least two police officers have been sacked, seven resigned and 150 faced disciplinary action after Facebook posts in the past four years. Can you sack an employee for uploading their CV on LinkedIn? Generally not, employees are free to seek alternative employment in their own time without their employer interfering. However, there is currently a case in the Reading Employment Tribunal where an employee who posted his CV on LinkedIn is bringing a claim for unfair dismissal. His employers claim that their policy is that employees should not indicate they are interested in “career opportunities” and that this employee included disparaging remarks and confidential information about the company in his CV. 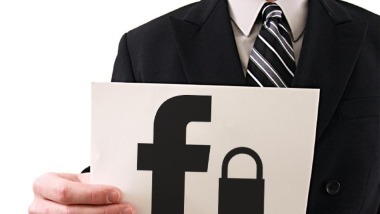 Can You Ask Your Employees For Their Facebook Password? Facebook Password: Are You Legally Obliged To Give Yours To Your Employer? Q: I was recently asked to hand over my Facebook password at a job interview. I thought this was outrageous but after talking to friends realise it is quite common, especially after Facebook publicised its new privacy settings. What should I so in this situation? Am I legally obliged to hand it over? Obviously I am concerned that they will get more access to my life than I’d like a prospective employer to see. This relatively new development from the USA is spreading to the UK as an evolution of an already common practice: Recruiters conducting online research into candidates such as viewing their public profiles on social networking sites and carrying out Google searches. 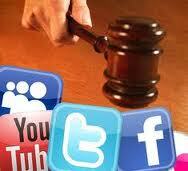 As is often the case, the law is far behind technological advances. Germany already outlaws this sort of conduct. In the USA on the other hand, an attempt to create similar legislation on the issue failed in the House of Representatives on 28 March. The world’s largest social networking platform, Facebook has now threatened to bring claims against anyone who asks for people’s private passwords. You are under no circumstances obliged to hand over any of your personal passwords. However, it isn’t unlawful for a potential employer to ask for it either. In reality, and perhaps unfairly, you are probably unlikely to get the job if you refuse. I would anticipate widespread outrage at this notion but, nonetheless, there is no obvious cause of action since you always have the right to refuse such a request. If you did hand over your password and then didn’t get the job, you might be able to bring a claim. In this scenario it is the employer who is taking a risk in accessing your account. They might discover that you are pregnant, gay or suffer from a disability: all unlawful reasons not to give you the job and could enable you to bring a claim for discrimination. It would be hard for the employer to prove that information from your personal accounts didn’t influence their decision. Paul Whitfield is a solicitor at Fox Whitfield.